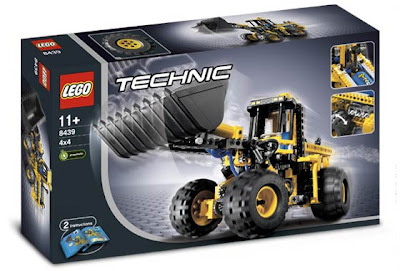 re-released version of similar 8459 front end loader by LEGO in 2001.
re-released version of similar 8464 pneumatic front end loader by LEGO in 2004.
main model is a front end loader. 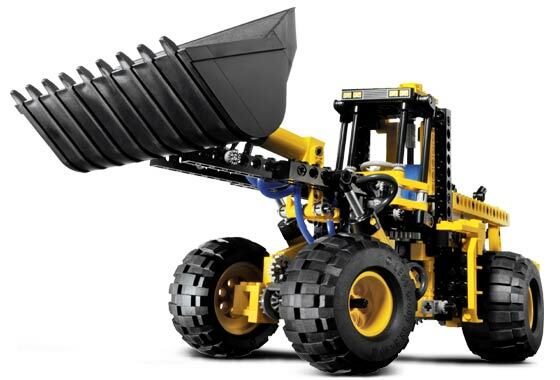 building alternative included loader with rear grapple arm. come with a pneumatic pump, a pneumatic airtank, 2 switch and 3 pneumatic cylinders. 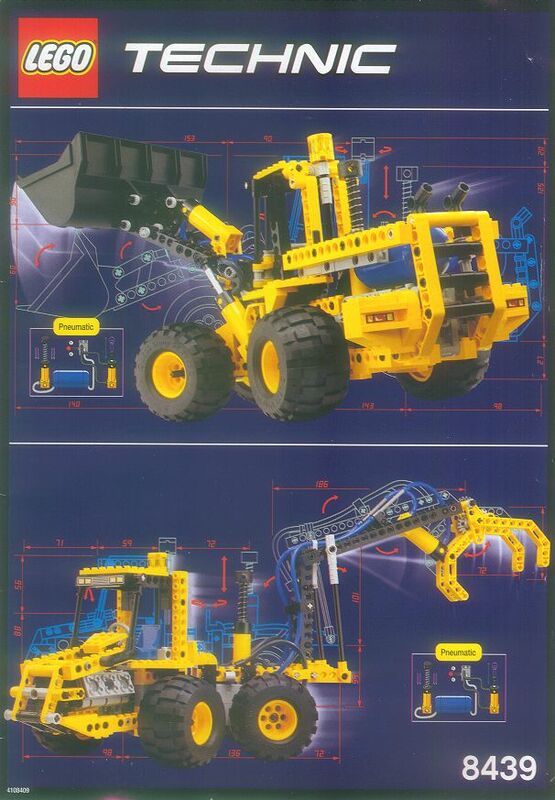 come with movable pistons, steerable front wheels and pneumatic powered front arm with bucket.